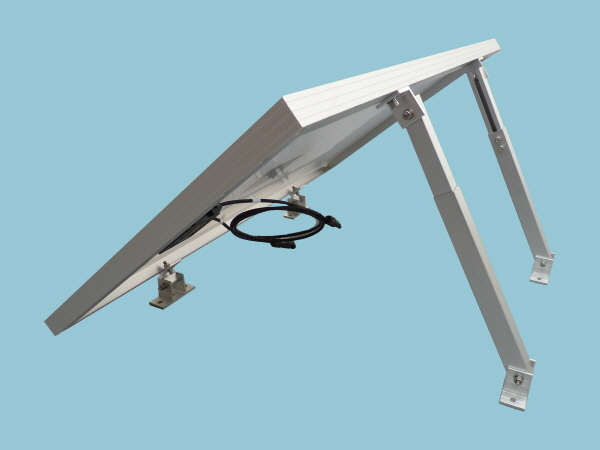 The fastFIX Adjustable Solar Panel Stand is made from high grade aluminium and can be used on all rigid framed solar panels. The front feet raise the solar panel a safe distance from the mounting surface protecting the solar panel from mud, water etc. The rear legs can be adjusted to the angle required. Both the legs and feet can be securely fixed to the mounting surface. The fastFIX Adjustable Solar Panel Stand is supplied with fixng and rubber pads.